In your mixer, add the flour, baking soda, salt, and cinnamon. Mix well. Then add the butter, sugars, eggs, and bananas. 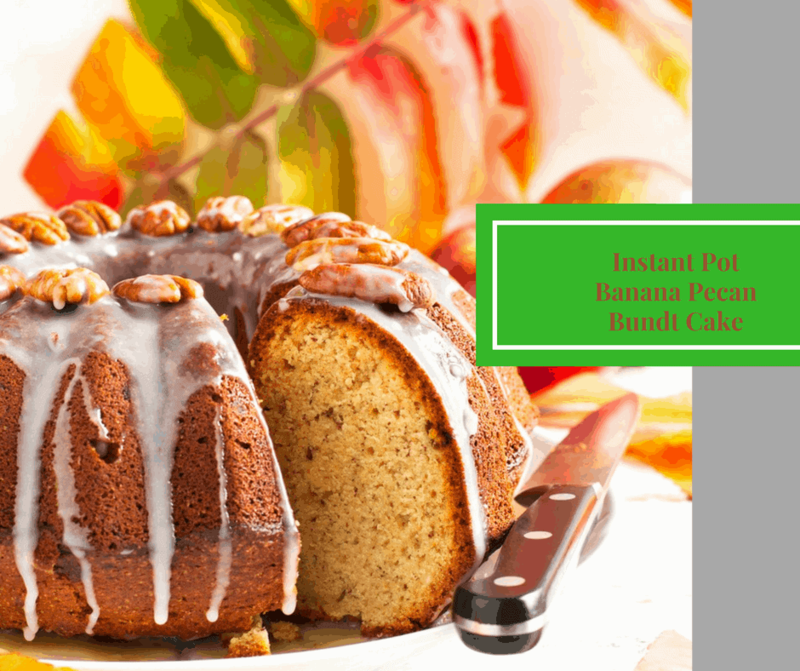 In a bundt pan that is small enough to fit into your Instant Pot, spray non-stick cooking spray. Then add the mixture to the bundt pan. Then add your trivet that came with your Instant Pot, and add 2 cups of water. Then place the bundt pan on top of the trivet. Set your manual high pressure for 50 minutes, making sure that the vent is sealed. Then let it cool down. Then if you would like to add the glaze, mix it all together in a mixing bowl andd then pour on top of the cake.